Former MI5 and MI6. Has previously been captured and tortured by VIPERA but escaped in mysterious circumstances. Marcus is the team’s gadget making genius. Marcus began using computers and writing software at the age of 3. His father had designed many of the early video games and taught him basic programming but soon Marcus became a prodigy in developing instant messaging tools and games. His ability to create programs, manipulate code and digital devices is above and beyond anything most other humans or machines are capable of. Known Captain Europe since they were kids. 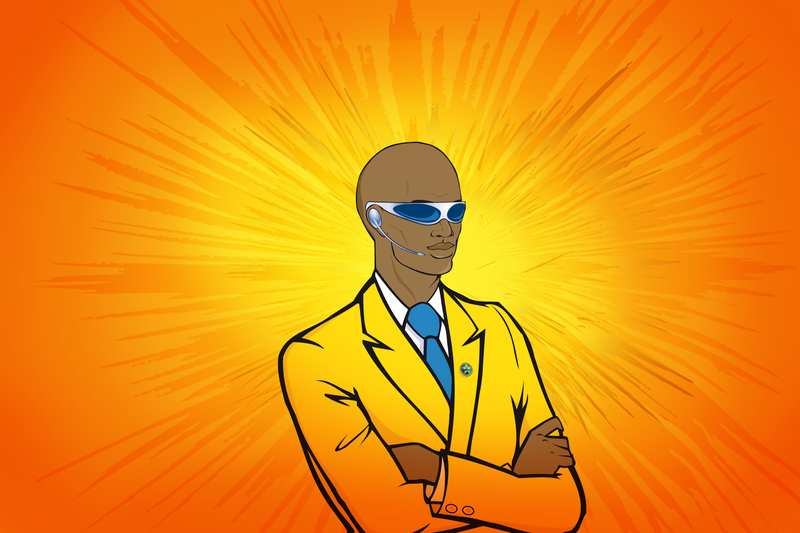 Marcus develops all the software and digital gadgetry for Captain Euro’s Team. He invented the holographic transmission technology which allows him to transmit 3-D images as easily as calling a cell phone. His own holographic image often pops up in the most unlikely places: the top of a high mountain one moment, and the middle of the Atlantic Ocean the next. He utilises the same holographic technology which Pythagoras 1 uses for his physical form. He has incredible technical knowledge, and is able to rig quick solutions to any software or computing problem. Improvising devices is one of his favourite things to do on the field – and without his ability to throw together quick solutions, the team may have remained stuck in many bad situations. His ability to multitask is rather astonishing. He is rarely ever solving only one problem at a time. He is often simultaneously working on the latest vehicle or program, while often also listening to his favourite music or playing a game of chess with his arch-nemesis: Pythagoras 1. The two are often very evenly matched – much to Pythagoras 1’s chagrin. Captain Euro describes Marcus as “bohemian and eccentric” in his dress habits. Marcus is unique in his ability to never really be fazed by anything but the trivial. 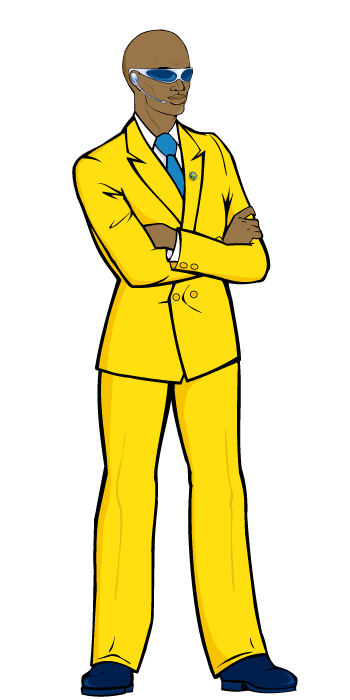 When a bad situation hits and panic sets in, Marcus is often the cool voice at the back keeping everything together and calmly solving the problem. The team consider him one of the best people to be around in a difficult situation because of his immensely calming influence. Conversely, he has occasionally been known to freak out and go into a mad panic because he could not find his keys, or because he is late for a meeting. But when faced with near-death, Marcus barely bats an eyelid. Some members of the team think that, so intense is Marcus’s relationship with technology, Marcus sometimes resembles an automaton of his own invention. They often joke about him being more AI than Pythagoras 1. It is certainly true that he is not ruled by regular sleep patterns. With fanatical professional absorption, he often works round the clock without even a break to eat. He is truly a one-man army. Marcus is a great admirer of Leonardo Da Vinci, who he calls a great inventor before his time. He plasters the walls of his labs with Da Vinci’s drawings. Given his fondness for simultaneity, Marcus often exercises while he works, using high-tech devices of his own creation. He often lifts weights with his off-hands while he works, as he finds the repetitive motion and physical exertion mentally stimulating. 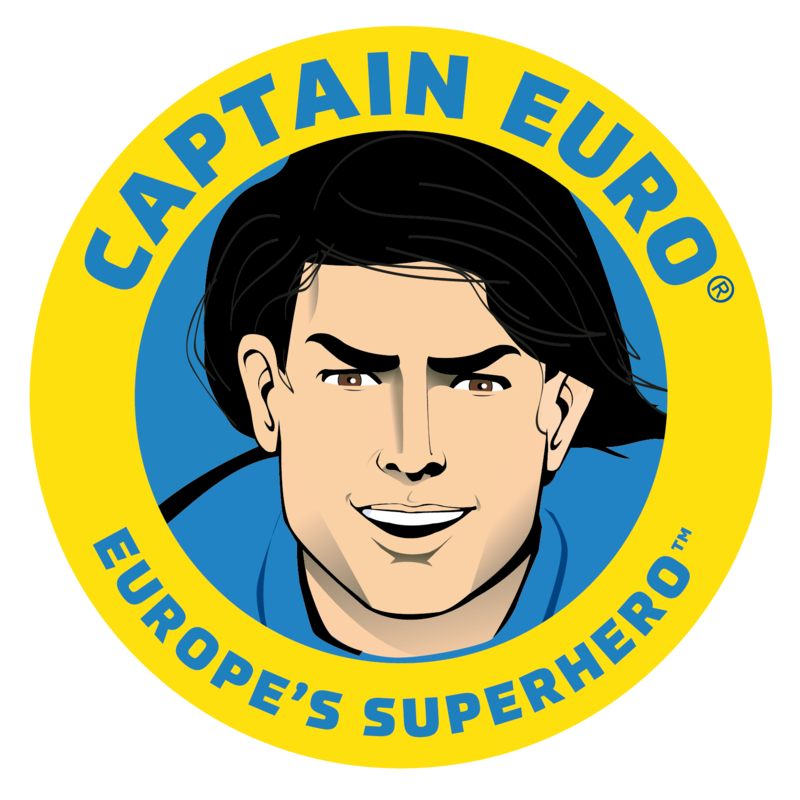 Prior to joining the Captain Euro Team, Marcus was contracted by an undisclosed intelligence agency to develop software to infiltrate and hack into global positioning systems and satellites. When he refused, he was imprisoned in a secret location, which he managed to escape through unknown means. These events have had a great impact on him as a person, though he has always kept them completely secret.